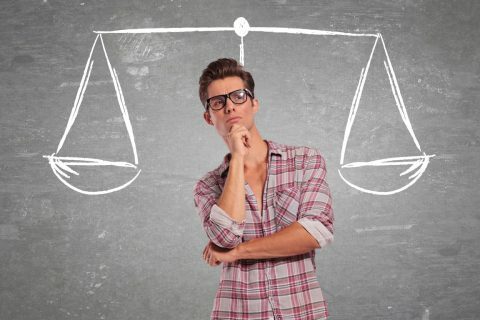 Which business analyst certification is right for me? 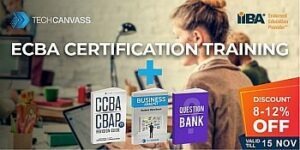 If you are looking for business analyst certifications, you might have this question – Which business analyst certification is right for me? Read this article to get answer to this question. 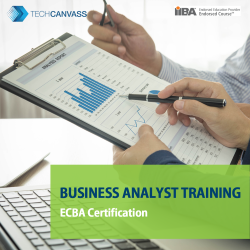 The business analyst certifications are based on expertise and business analysis experience. We will discuss these factors in the next section. I am talking about your business analysis experience and not about your professional experience. If you are working as a sales professional for 5 years, your experience is not equivalent to 5 years of business analysis experience. 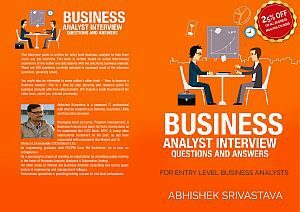 What does business analysis experience mean? See the “Business Analysis expertise” section. The certifications typically don’t consider non-BA experience. To help you choose the right certification, I have presented multiple scenarios based on experience and expertise. IIBA has a much wider acceptance world wide and should be your first choice. However, BCS is widely accepted and recognized in UK and European region and if you are from that region, you must go for BCS. Minimum of 21 hours of Professional Development in the last 4 years. This is acquired by attending a training program from an IIBA endorsed education provider like Techcanvass. This is a difficult one. PMI as well as IIBA are well recognized certification bodies. You can choose any one of them. However, if you are looking to go for PMP certification in the future, PMI membership will help you in more than one ways. 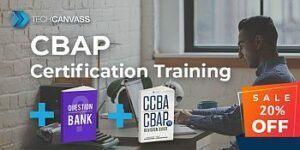 You are a business analyst and have almost 5 years of business analysis experience, you are eligible for CBAP certification from IIBA. This is the flagship certification and is widely accepted certification currently. Minimum of 35 hours of Professional Development in the last 4 years. This is acquired by attending a training program from an IIBA endorsed education provider like Techcanvass. Agile business analyst certifications are relatively new, but are more generic in nature. 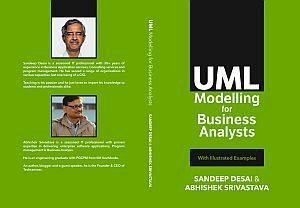 It will be applicable for all types of Agile methodologies. Agile business analysts are future proof certifications. 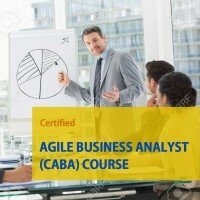 Certified Agile Business Analyst (CABA) and PSPO are relatively newer certifications. This means that you may not have heard of it. But these are promising ones. CSPO certification is the most popular one. By the way, Certified Scrum Master (CSM) from Scrumalliance is probably the most popular Scrum certifications in the market today. I have tried and presented all the scenarios, I can think of and have also indicated the popular choices. Hope it helps you in selecting the right certification. Certifications are important as they provide a standardized minimum level of competence. We have a Business analyst training course with domain training in-built into it. 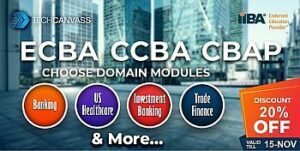 This training program offers you the opportunity to get certified with ECBA certification as well as have banking domain understanding. Business Analyst certificationRight business analyst certificationWhich business analyst certification is right for me? This was a very helpful post !! Thank you so much. Thanks a lot Karuna for your feedback. Wow ! A great post .